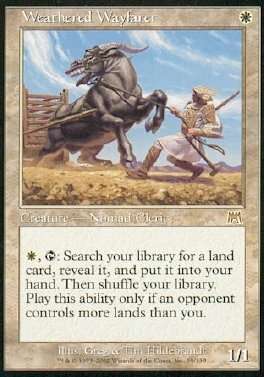 W, T Search your library for a land card, reveal it, and put it into your hand. Then shuffle your library. Play this ability only if an opponent controls more lands than you.